Does your prospective bank client's passport information match up with known photographs of the subject ? Or is the passport simply an alias ? The proliferation of Citizenship by Investment passports, whether purchased in the East Caribbean, Malta, Cyprus, or elsewhere, has greatly increased compliance risk levels, for CBI passport holders could have established a completely bogus identity, through documents obtained through corrupt government agencies or sources, and then obtained that prized CBI passport, with a totally sanitized identity. In other jurisdictions where counterfeit birth certificates, drivers' licenses, government identity cards and even utility receipts are actually advertised, in conjunction with yacht registrations or diplomatic passports, creating a ficticious identity is easier than brushing your teeth. This means that any Enhanced Due Diligence (EDD) inquiry, and forget about ordinary due diligence for it is no longer sufficient for Customer Identification Procedures (CIP), is not complete without part two of your investigation: namely, through the use of an effective Facial Recognition program. Only after you have photographic confirmation that your target is the one and the same individual that he or she claims to be can you be certain who your client really is. Unless you can connect up the face with the identity, all you have is a prospective client with squeaky clean, albeit totally bogus documents, all the while hiding his OFAC-sanctioned true name and criminal or terrorist background. 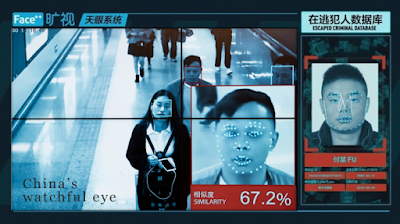 Facial recognition programs, which include millions upon millions of official, social media, mass media, video, commercial, as well as lifestyle, images, all of which have been examined and validated, using a facial recog algorithm. Although facial recognition platforms are only now being recognized as a critical last step in any EDD investigation, their inclusion, as part of any AML/CFT compliance program, which includes a second generation, mainly cloud-based data source, plus negative news sources, has not yer been adopted as part of banking best practices. Given the widespread use of CBI passports, multiple passports, and bogus diplomatic passports, compliance officers at international banks whose clients come from the four corners of the globe, should adopt an effective facial rcognition program without further delay, to add this final step to their enhanced due diligence programs. To ignore that final step is not only compliance malpractice, it could subject those who fail to do so to permanent exile from employment in the financial world by regulators, or even criminal prosecution. WHO WILL UNLOCK THE GIBRALTAR PAPERS ?